That’s according to speakers at a real property valuation forum during the 2018 Realtors Legislative Meetings & Trade Expo, held May 13-18 in Washington, D.C. Traditional appraisal alternatives, like hybrid appraisals, broker price opinions and data-driven automated or desktop valuation models, can be useful and cost-effective tools. But many in the industry, including the National Association of Realtors, urge caution when waiving traditional, onsite appraisals for home purchase transactions to ensure purchases are based on sound financial principles and do not put undue risk on consumers or the market. Ernie Durbin, chief valuation officer at Clarocity Corporation, a provider of residential real estate valuations services, said alternative, or hybrid, appraisal reports is a misnomer. “Alternative or hybrid appraisal reports are simply reports with a different scope of work than a traditional report,” he said. The Scope of Work rule from the Uniform Standards of Professional Appraisal Practice was introduced in 2006 and gives appraisers the ability to tailor each assignment appropriately for the client and circumstances. Durbin said the scope of work for a non-traditional property valuation could include a desktop valuation that relies on third-party inspections and utilizes extraordinary assumptions, a sales comparison approach or a qualitative analysis that doesn’t make adjustments to comparables. Durbin also touched on compliance and said for appraisal alternative reports to comply with minimum appraisal standards, they must conform to generally accepted USPAP standards, be written, contain sufficient information and be performed by state certified or licensed appraisers. He also said appraisers bear the responsibility of compliance, and when using alternate valuation products, they must determine if the scope of work is enough to provide credible results and ensure they are in control of the appraisal process and not limited by the form or format. Durbin urged caution around alternative or hybrid appraisals and advised using local multiple listing service data to select comparables, ensuring local appraisers have knowledge of the property type and specific market, and making certain appraisal reports and scope of work fit and are commensurate with the risk and complexity of the transaction. “Businesses are aiming to save time and reduce costs, but you can’t toss out safety and soundness and consumer protections for the sake of the business decisions,” Russell said. Julie Jones, credit risk analyst at Fannie Mae, shared insights into the enterprise’s decision last year to waive traditional appraisal requirements for some eligible purchase transactions through its Property Inspection Waiver program. 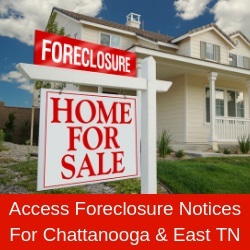 She said Fannie’s property inspection waivers, or appraisal waivers, are available for mortgages and refinances that meet specific eligibility requirements, including those with lower loan-to-value ratios, single-family and condominium properties, principle residences and second homes, and when Fannie already has a prior appraisal on the property, among others. “It’s important to remember that the lender and borrower do not have to exercise the property inspection waiver and may continue with a traditional appraisal,” Jones said. Jones added the number of Fannie-financed purchase loans executed with a property inspection waiver made up less than one percent of recent purchase transactions. Overall, for purchase transactions, limited cash-out refinance transactions and cash-out refinance transactions loans with PIWs accounted for less than 12 percent of Fannie’s book. The NAR sent a letter to Federal Housing Finance director Mel Watt last fall concerning the use of automated valuations in purchase transactions. In the letter, the NAR encouraged Fannie Mae and Freddie Mac to use caution after they announced a waiver of physical property appraisals for lower risk purchase transactions. Additional information and resources for real estate professionals about appraisals can be found at www.nar.realtor/appraisal-valuation.